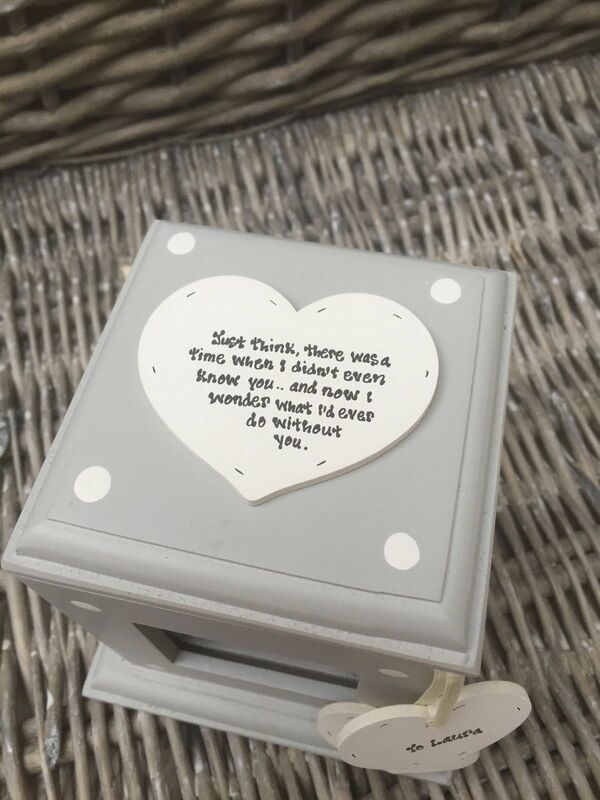 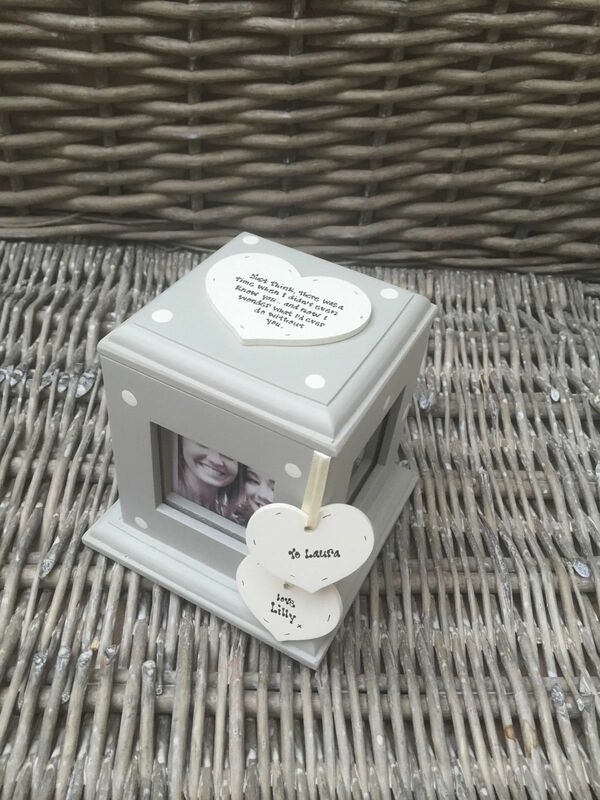 Shabby Chic style personalised photo box with glass photo sections. 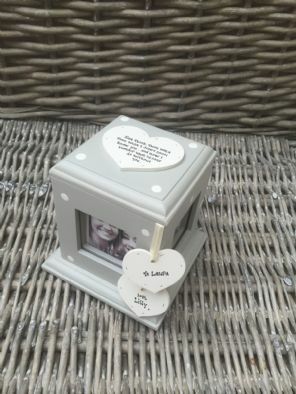 This photo box holds 4 pictures, one on each side of the box. 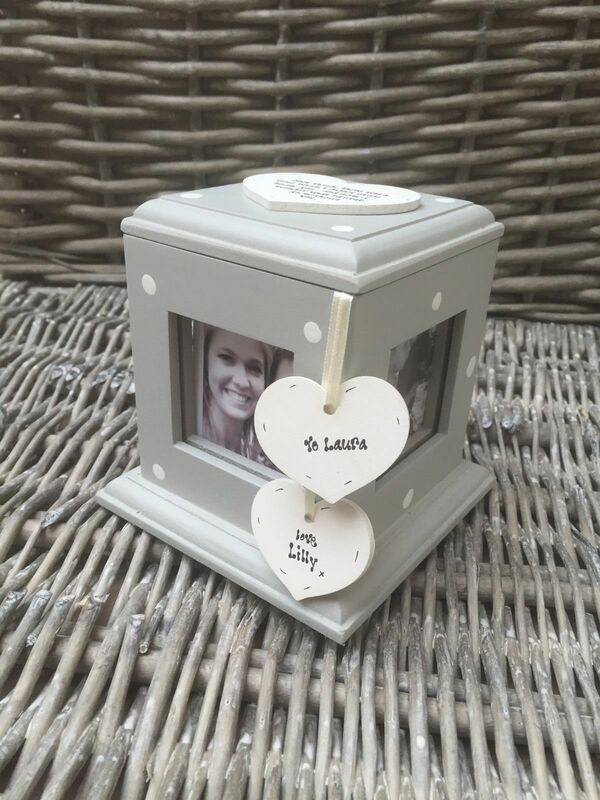 The photo glass window sections hold photos of approximately 5.5cm square.